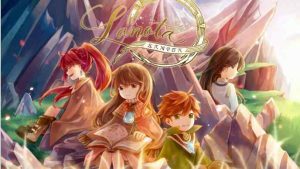 Lanota : Play the tunes and follow the rhythm, explore and revive the world. Unlock music of various genres, conquer specially designed boss-stages, and indulge in an artistic picture book! I trust that you, the one blessed by the gods of melody, can surely revive the former world order. Tune” the chaotic energy back to harmony, and the world will gradually reveal. Explore places on the map, read a beautifully handcrafted picture book, and collect items on the way as souvenir! To share the result screen, Lanota needs your permission to access Photos/Media/Files. We won’t read your existing photos or files in the process. This game is the absolute best. it is like piano tiles but even more fun. The music are really great and the gameplay is fun. After 30 minutes, I decide to buy the full version to get rid of waiting time and adds, it’s worth it in my opinion. Dunno either I’ll buy the locked chapter or not, since it’s quite expensive. But anyway, so far, great and enjoyful experience!! I love this game but sometimes the game lags causing me to miss some notes or the screen becomes non-functional or responsive to taps, but thanks to the amazing development team noxy has it virtually never happens anymore! Thanks!!! This is honestly a really great game with story, visuals,and the music choices really emphasis the mood of the story in certain segments. A great enjoyable playing experience! This an exceptional rhythm game. I like that it really makes use of the fact that it is played on a touchscreen with the constantly changing positioning of the notes. While the game can be played without paying, the ads get quite annoying soon so I’d mostly understand that as a demo mode. Buying the full game is surprisingly cheap and gets you lots of content.